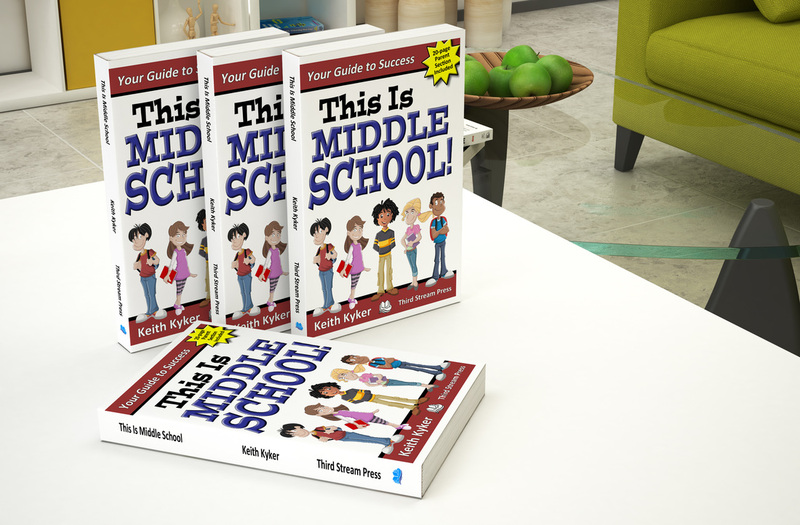 Ordering - This Is Middle School! Third Stream Press offers a substantial discount for purchases of 50 or more copies. To receive this discount, books must be purchased directly from the publisher. For information about this discount, please send e-mail to keithkyker@yahoo.com. Purchase orders are accepted. New vendor paperwork promptly returned. 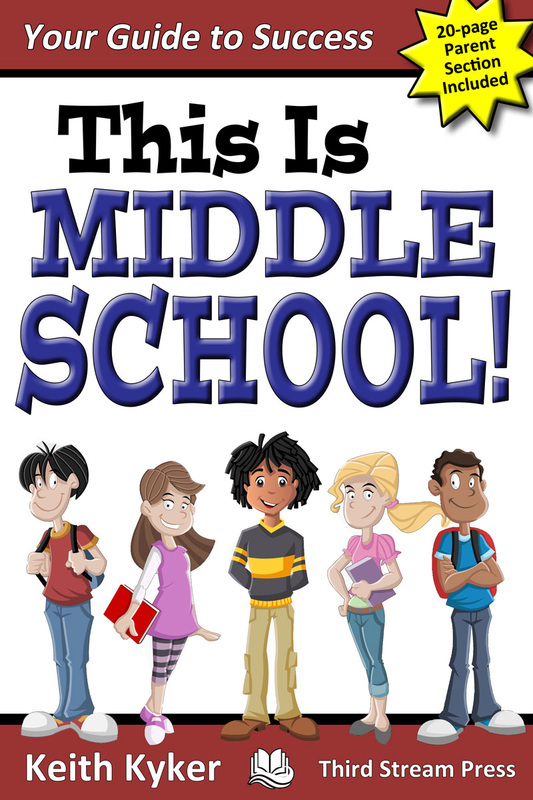 Ideally, each student should have his or her own copy of This Is Middle School. Investigate school funds (Title 1, etc.) earmarked for supplementing student learning. 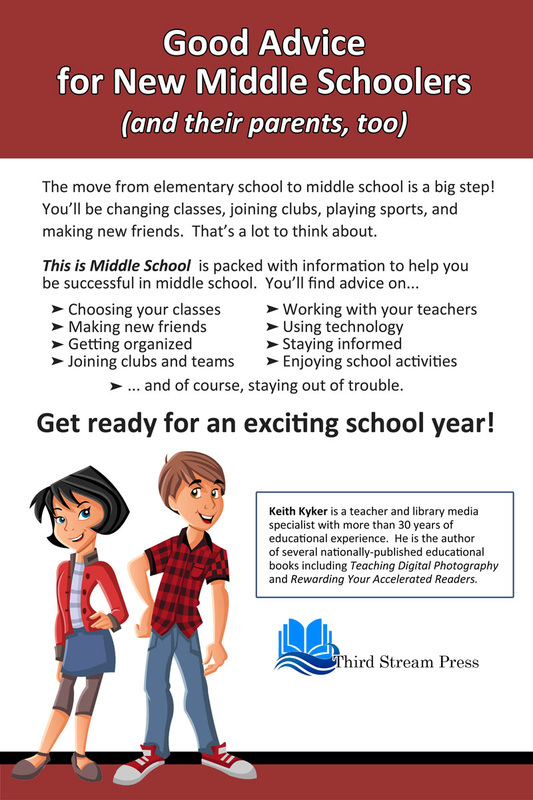 Fulfill school improvement requirements by addressing middle school readiness issues. Class sets of the book could be purchased and used in subsequent years. This Is Middle School is a great curricular tool for advisory classes and elementary related arts.